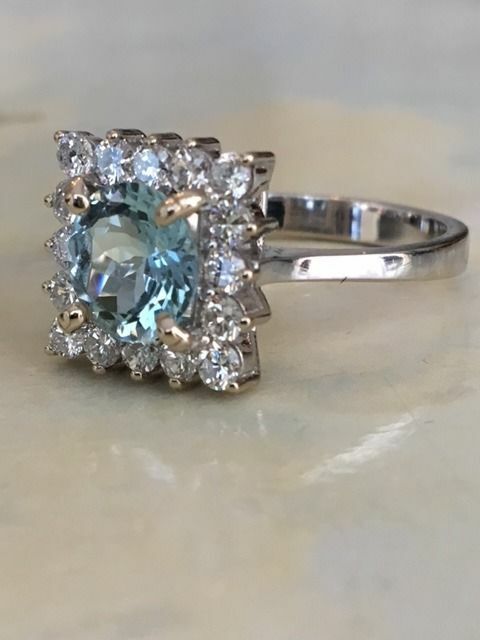 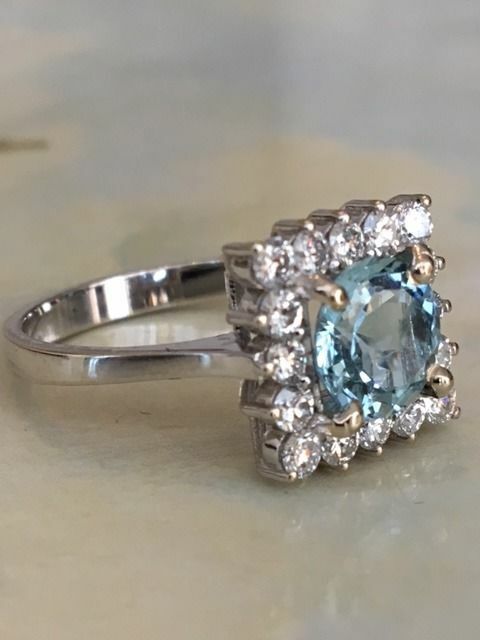 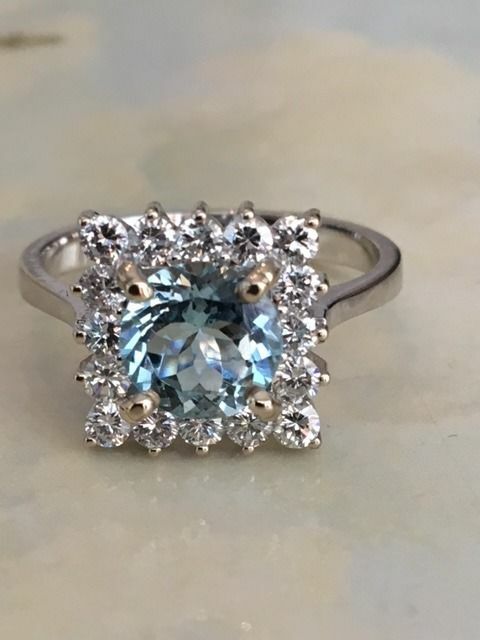 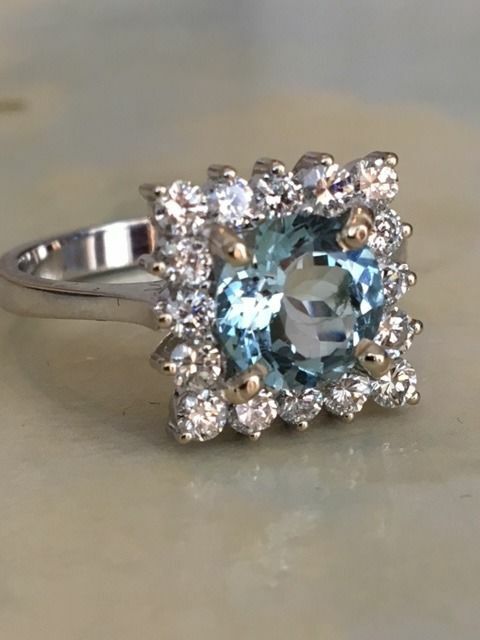 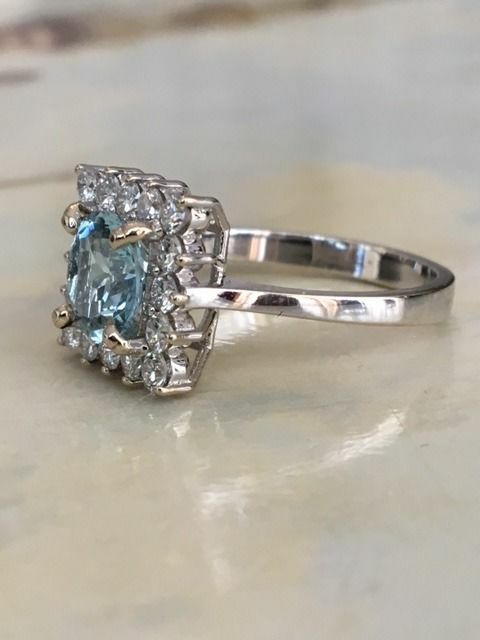 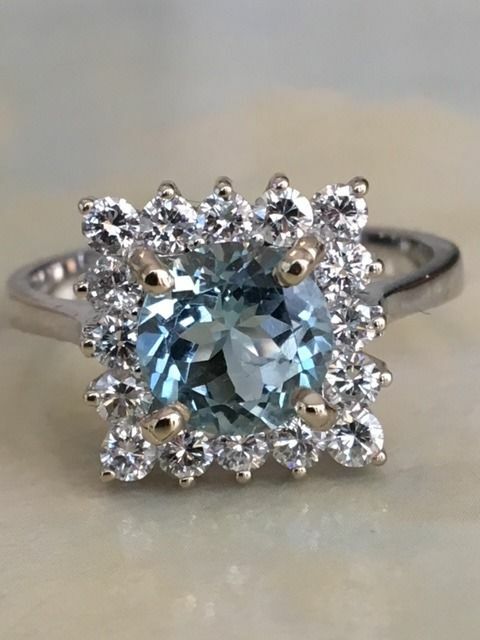 Offered, in mint condition, an 18 kt white gold entourage ring with an aquamarine of approx. 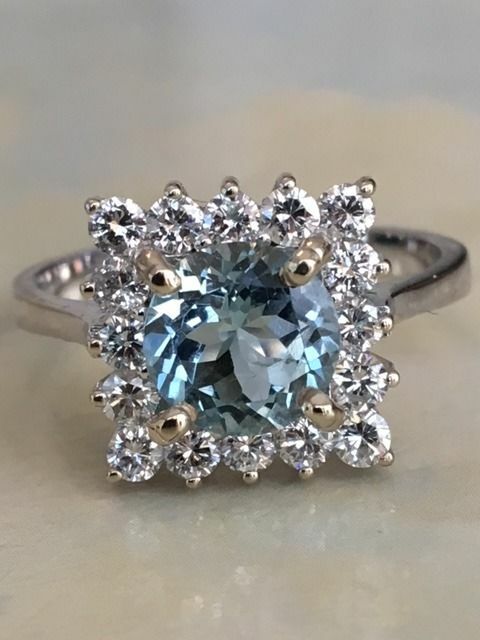 1.20 ct surrounded by brilliant cut diamonds, approx. 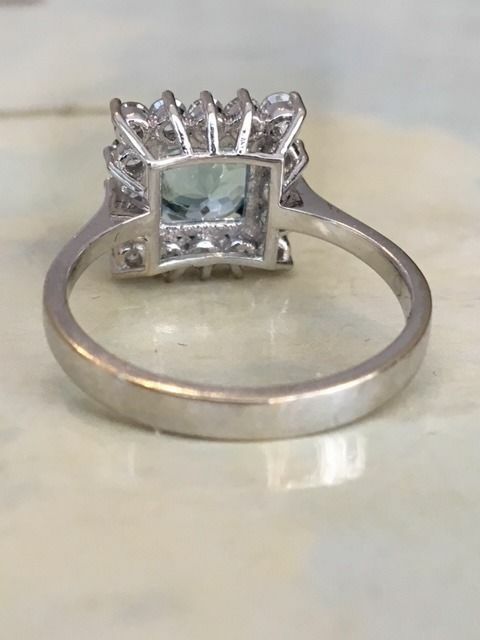 0.64 ct in total, quality G/VS. 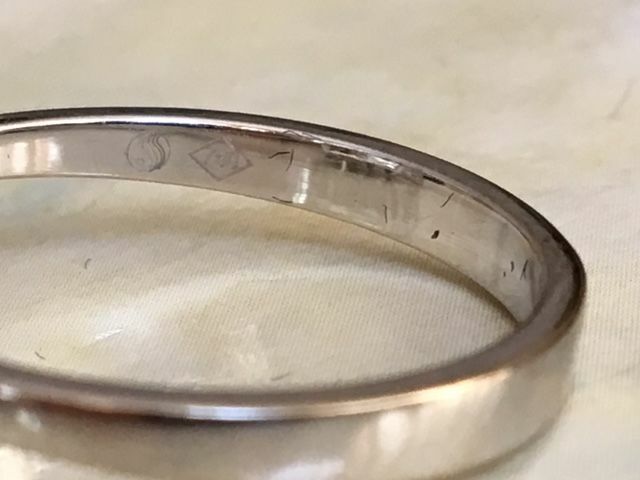 Size of the ring head is 11.5 mm x 11.5 mm. Fast and insured delivery within the Netherlands and abroad, by UPS!